Macaroni & cheese is one of the most perfect dishes in human history. What could surpass shapely noodles swimming in a thick, silky cheese sauce? While many of us likely fell in love with the boxed variety as kids, now that we’re mature adults it’s time for some real indulgence. The simple mac & cheese of childhood is merely a blank canvas, waiting to fulfill all your fromage fantasies. Not all cheeses are meant for mac & cheese, though. It’s all about getting the right ratio of the melters and the flavor-enhancers. Some cheeses get all gooey, others liquify into cream, and then there’s the kind that won’t melt at all. 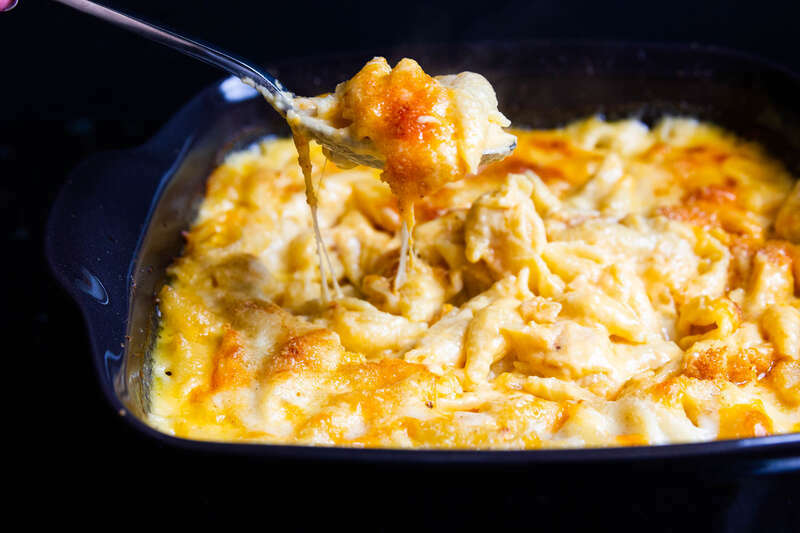 The best mac & cheese combines all three types. The holy trinity, in my opinion, combines a lot of Cheddar, a little cream cheese, and a Parmigiano-panko crust. But you didn’t come here for a traditional trio, now did you? No -- you came for something sensational that will take us through the coming winter like a newfound love affair. Here are some of the sexiest cheeses to sprinkle into your next mac. These young, high-moisture cheeses tend to be the best melters. Grate them up and use alone or as a canvas for crazy combinations. Make sure that melters like these guys make up at least two-thirds of the total cheese used. Like provolone and mozzarella, scamorza is a member of the pasta filata family of cheese. Pasta filatas are made by heating up curds in hot water, then kneading and stretching them together. This hand-pulled technique makes for the perfect cheese pull, which is why they’re often used in pizzas. Scamorza tastes very similar to a dry mozzarella, but with a more piquant flavor. This stinky Frenchie is best known as the star of those viral videos where someone scrapes bubbling layers of melted cheese onto stacks of potatoes. Raclette is a prime melting cheese, and its firm, brothy paste almost liquifies into its own sauce. If you want an unapologetically bold mac, use this one all by himself and serve with a lightly dressed arugula salad for good measure. Many aged cheeses can be too dry to melt properly, but not block Cheddar. These are aged in Cryovac plastic, which allows them to retain most of their moisture and prevent a rind from forming. 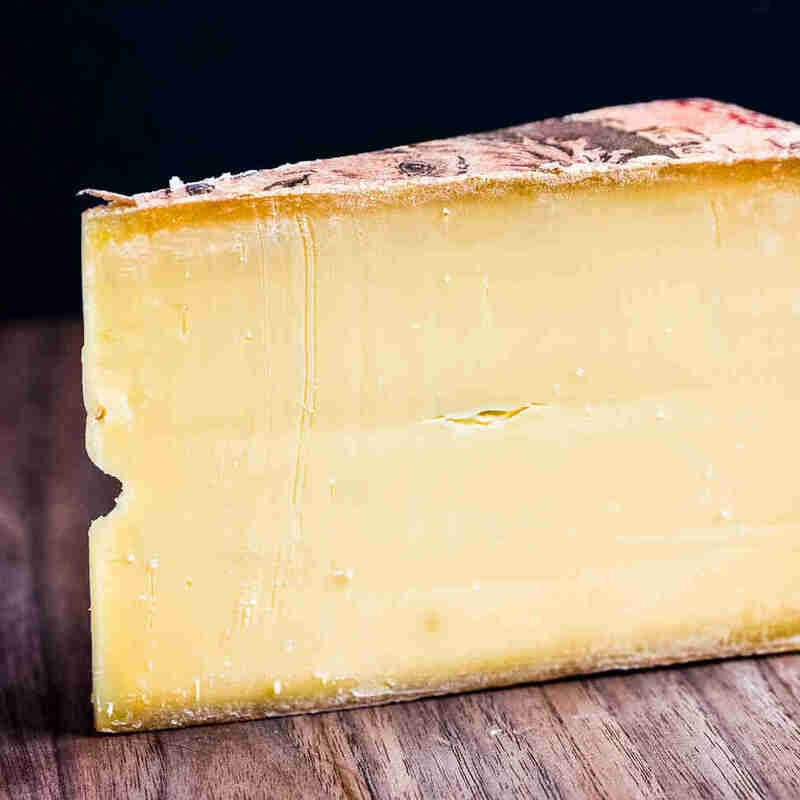 A two-year Wisconsin Cheddar brings sharp, tangy flavors while also melting into liquid gold. By the way, here’s a little Cheddar trivia for you: The only difference between white and orange styles is the addition of food coloring. A lot of people love adding Gruyère as an economical way to pack in some sweet, nutty flavor. If you’re looking to ball out even harder, get yourself a wedge of the super rich and meaty Chällerhocker, a decadent cheese from Switzerland. It packs intense flavors of caramelized onions, toasted hazelnuts, and stewed beef. It’s also insanely delicious with pickled Brussels sprouts if you’re looking for a garnish. This semi-firm goat cheese is ideal for anyone who thinks they don’t like goat cheese. 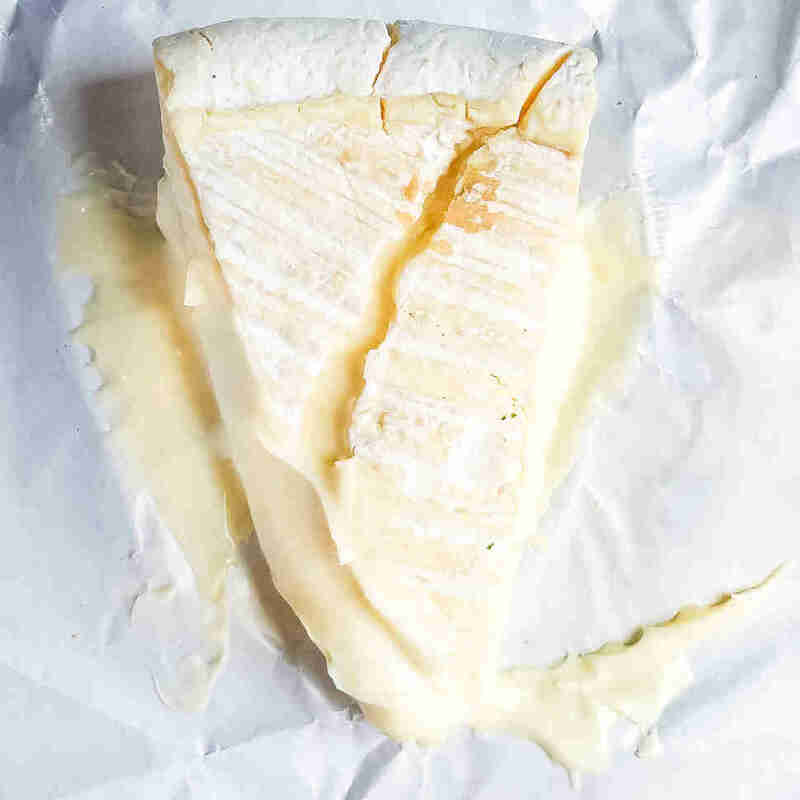 It tastes similar to a manchego, but with that bright white color and slightly tangy, slightly sweet flavor that you often find in aged goat’s milk varieties. It’s also bathed in red wine, which adds an addictively boozy, fruity flavor. These cheeses bring extra creaminess to the cheese sauce. Add them before the melting cheeses. Many recipes recommend adding cream cheese to thicken the cheese sauce, but I prefer to add double cream brie. They’re just as smooth and velvety, but bring a stronger, slightly funky mushroom flavor. Take off the rind and cut into chunks before adding. If you want a little extra oomph, use taleggio instead. The right blue can bring an amazing funky quality to your cheese sauce. Use with a milder base, like havarti or Gouda, and sprinkle some large crumbles on top. Creamier blues like French Saint Agur melt decently well whereas firmer ones like gorgonzola keep their shape while adding a pop of flavor. Either style is especially heavenly with a handful of caramelized onions swirled in. Don’t @ me chèvre haters: Fresh goat cheese will turn your sauce into a liquid cream dream with tantalizing tang. I recommend getting freaky with the bevy of flavored goat cheeses on the market, like jalapeño or chive. If you’re not a fan of goat cheese, mascarpone or even Boursin have a similar effect. I dare you to judge me, haters. While I’m not one for adding American cheese to fancy burgers (it’s sacrilegious to the beef), a little processed cheese can add unbeatable and irresistible creaminess to your cheese sauce. The chemical salts in American cheese prevent it from separating, resulting in the silkiest texture known to man when melted. Velveeta works great, or just chop up a few Kraft singles and watch the magic happen. These babies don't melt, but they bring a layer of crust and complexity to your mac. Add them to the cheese sauce right at the end, or crumble on top just before baking. Even though it’s a high-moisture cheese, feta doesn’t melt because its matrix of proteins is too tight to soften and liquify properly. It does, however, bring a briny tang when crumbled on top -- along with oregano, and maybe some chopped olives if you’re feeling freaky. This flirty Frenchie is basically autumn's “it” cheese. 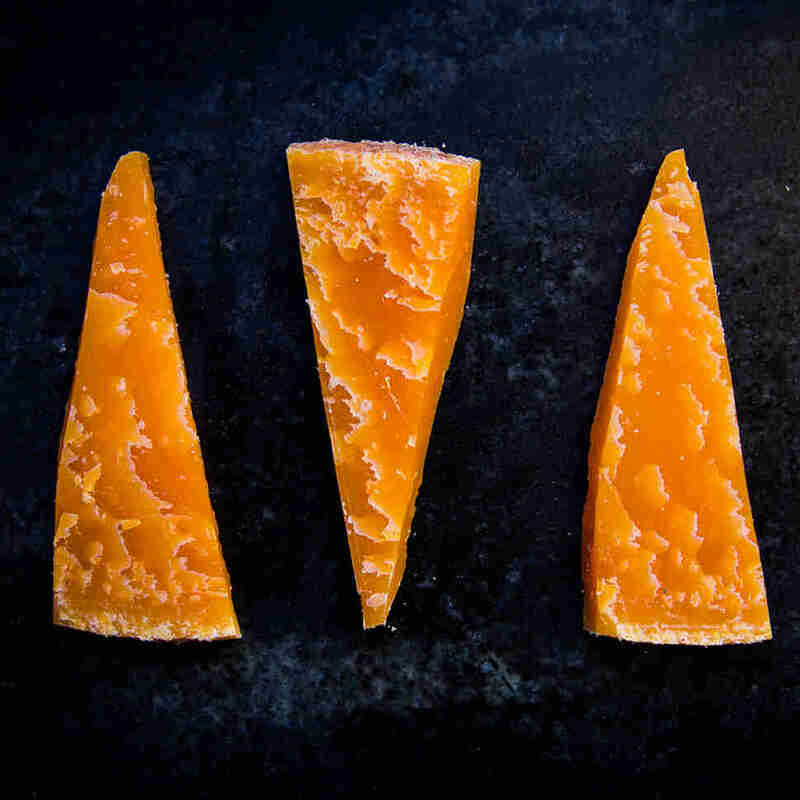 With its glowing orange hue of a jack-o'-lantern and its butterscotch-like flavor as comforting as that first PSL of the season, Mimolette is just begging to be grated into a pile of butter-toasted breadcrumbs to go atop your mac. Go heavy handed with this one -- you won’t regret it. Sometimes, you just need to embrace the earthy, inundating sensation of black truffles in your mac. Pecorinos are Italian sheep’s milk cheeses with rich, sweet, and nutty flavors, which act as a perfect foil to the savoriness of truffles. Most are too firm to melt, but they are simply amazing when grated atop and baked till brown and bubbly.